Our aim is to replicate the successful Jaguar reintroduction process done by our team in the Pantanal back in June 2016, this time in the Amazon rainforest. That was the only time in history when Jaguar cubs where successfully reintroduced into the wild. The project was extensively documented by various medias including the BBC, NatGeo Wild as well as various newspapers, websites and magazines. We aim to prove that the technique developed by Onçafari and Cenap/ICMBio can be replicated in other ecosystems. If we are also successful in this attempt in the Amazon this technique could be applied to save Jaguars elsewhere in Brazil, like the Atlantic Forest for example, where Jaguars are bordering extinction. It could also potentially be applied in other countries and even with other big cats of the Panthera genus. Our team is taking care of two orphan female Jaguars that have been found near the area where we plan to reintroduce them. They were less than two month old when they where found and would surely have not survived if we had not rescued them. It is unclear what happened to their mother but it is very likely she has been illegally hunted. 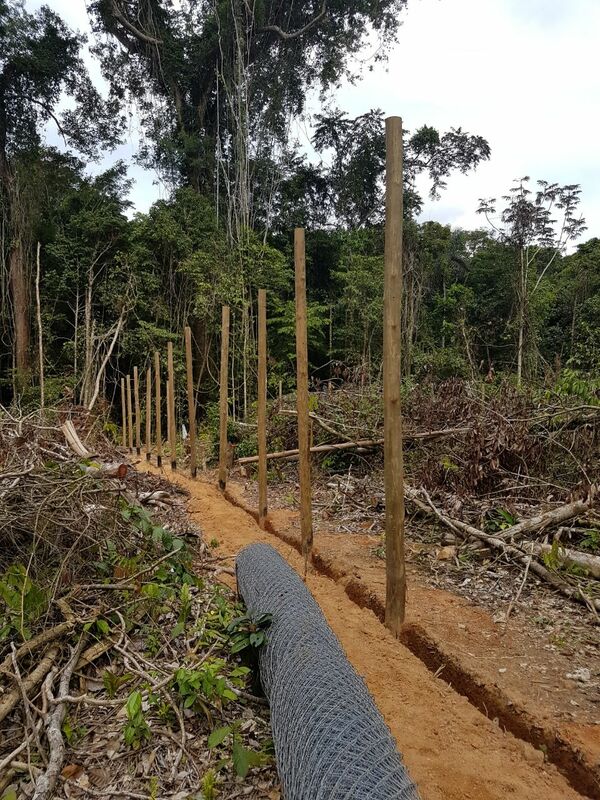 We are in the early stages of building a 110,000 square feet enclosure in the Amazon where the two sisters will go through the same process that was proven successful in the Pantanal. For about a year we will teach them how to hunt and how to become wild again, to the point where they can be released back into the wild. We need your help to be able to finish the construction of the enclosure. This project means a lot to all involved and it will be a huge step towards the conservation of the species. 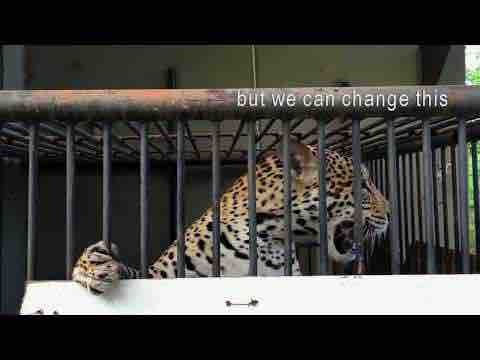 We are hoping to save the lives of these two Jaguars and give back their freedom. We are counting on you to help us finish the construction as soon as possible so that we can start the "training" process. Thank you for joining this campaign, for sharing it with others, for your contribution and for giving Jaguars a brighter future. Just wanted to give you all an update on our progress. Both Jaguars are doing extremely well and have learnt to hunt successfully. If all continues to go according to plan we expect to release them back into the wild in the early part of the second semester. Please share this post with as many people as you can. Despite them being almost ready for release we still need to raise a bit more funds for it all to happen. Today I had the honor of presenting Onçafari’s reintroduction process at the International Wildlife Reintroduction Conference in Chicago (USA). 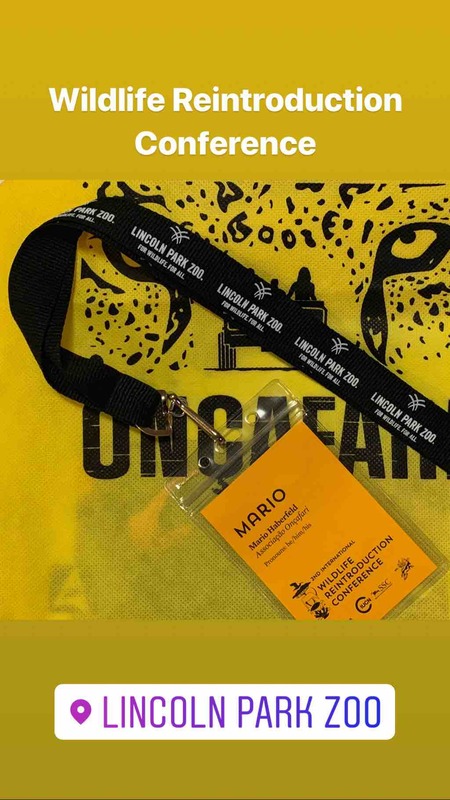 I presented about the process done with 2 Jaguars in the Pantanal about 2 years ago. 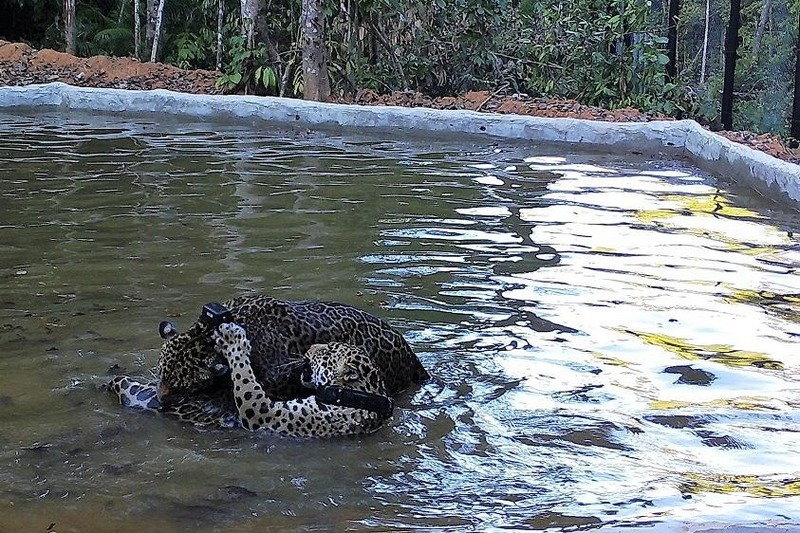 Our project there was a great success and we recently found that both reintroduced females had cubs in the wild, a first for Reintroduced Jaguars ever have to happened. 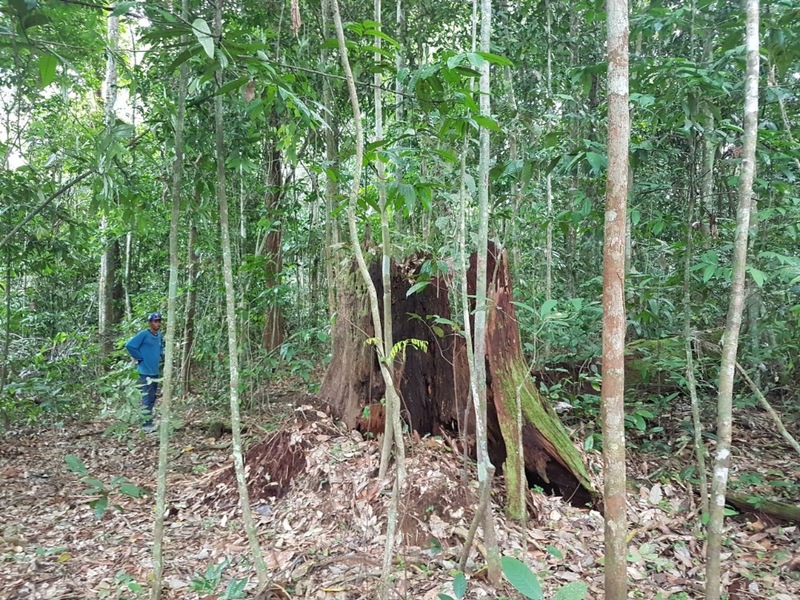 Please help us make this project in the Amazon a success as well. 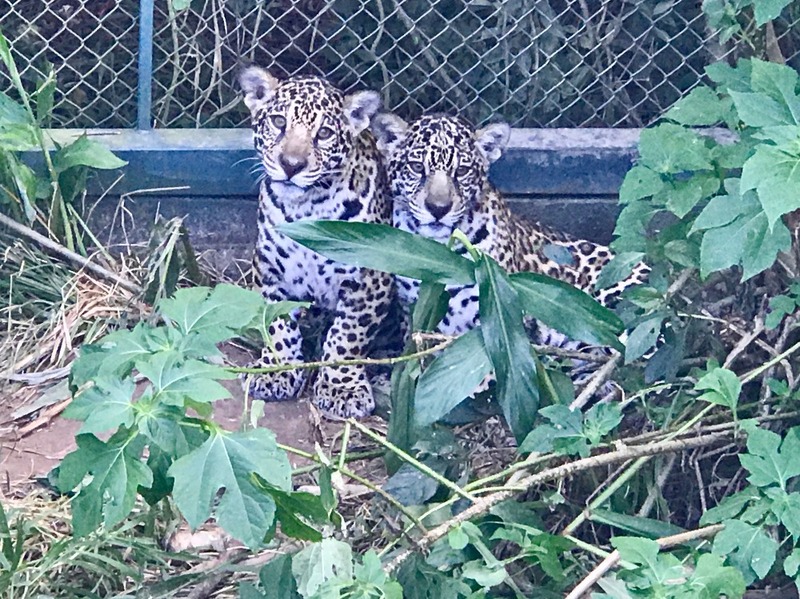 Both Jaguar cubs arrived at the purposely built enclosure just over a month ago. They already are well adapted to their new surroundings. 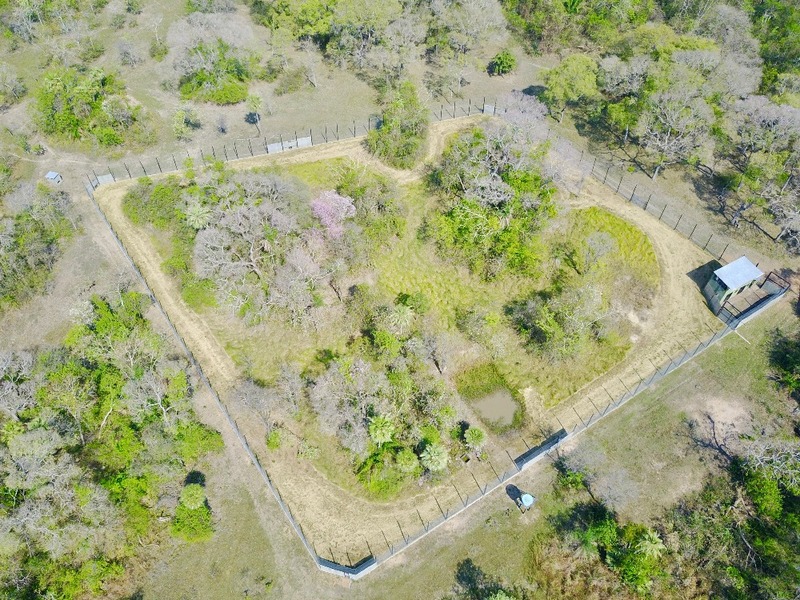 A huge enclosure and with lots of native vegetation. They are in the process of learning how to hunt and fend for themselves. They are starting to roar and are interacting a lot with each other. They are strong and healthy but still require a lot of attention from our team. Thank you all for your kind contributions and please help us reach our target so that we can successfully reintroduce them back into the wild. Your support has been amazing, many thanks. Construction of the enclosure continues to go from strength to strength. Please find bellow a photo the construction as well as a photo showing how the habitat looks inside the enclosure. 15 Feet high enclosure fence going up.